If you are of the mind-set that you are who you are, you cannot change and have to accept whatever cards life deals you then you should seriously think of sending these corporate ecards to yourself! Joking aside, we all work with somebody who ticks at least a couple of these boxes. You can change your life, and even the kind of person you are, but these people just don't get it. If you are itching to get this message across to somebody you have come into contact with through work then these ecards is the perfect solution. Called Create Yourself, the image is one of peace and tranquillity, something we should all have in our lives but is sadly lacking in those who are unhappy with themselves. 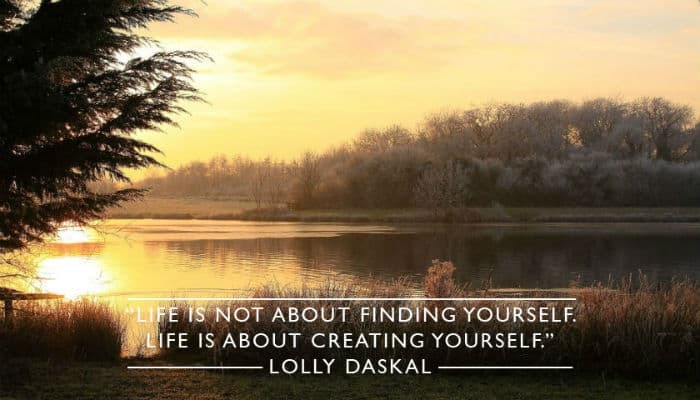 The text on the ecard comes courtesy of Lolly Daskal, a world renowned personal development and leadership coach; “Life is not about finding yourself, life is about creating yourself”. In short, we don't 'find' ourselves we create ourselves into the kind of people we want to be. This is easier said that done, and self confidence plays a huge part it in, but by sending this message to a colleague you know is bursting with potential may just give them that boost to their self confidence which they desperately need. Did you know that at Christmas time there is no easier method of sending well wishes to large numbers of clients than Christmas ecards for business. Check us out!